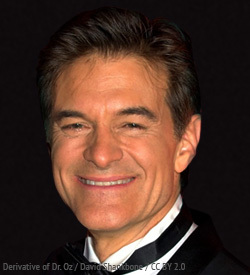 Dr Mehmet Oz has such a big influence on health care that Time magazine in 2008 placed him at the 44th spot on the list of the 100 most influential people in the world. He is director of the cardiovascular institute in a prominent hospital in New York, is author of several books, and currently has his own television show that is broadcasted worldwide. Dr Oz has been practicing TM himself for the past several years, and has paid for all 200 employees of his show to learn the technique. He talks about the technique in public on a regular basis and explains how TM has an effect on blood pressure, diabetes, cholesterol and cardiovascular diseases that even medicines can’t always match. He says it can “influence things that we didn’t think were changeable”.